A trend to watch: Designers are having a field day operating under the veil of postmodernism by rediscovering the Memphis movement and delighting in the influence of the group's chief designer, Italian Ettore Sottass. Loud patterns, muted blocks of primary colour and geometric shapes can be seen in a range of specially commissioned homewares, furniture and furnishings at the London store Darkroom (it thankfully sells online) as well as in the new collection for Danish company Hay overseen by uber designer Sebastian Wrong. 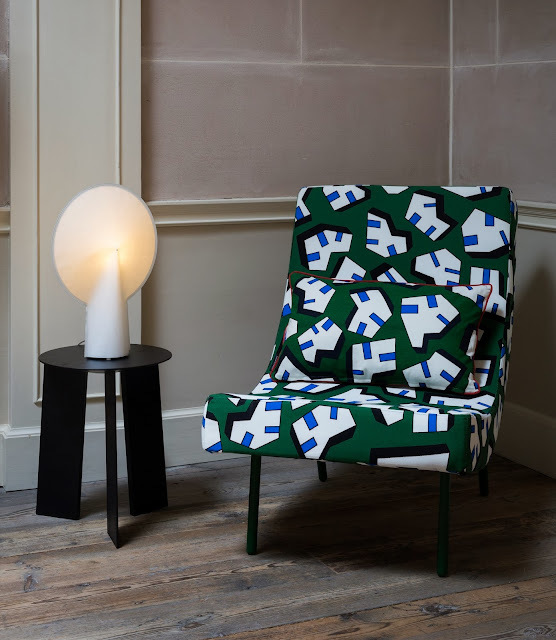 Original Memphis designer Nathalie Du Pasquier's Ice pattern was brought out of the archives to cover this armchair for the Wrong for Hay collection, available via Corporate Culture and Cult. Read my article on 10 Top Trends for Summer in The Sydney Morning Herald online and Fairfax Media nationally. Read more here.